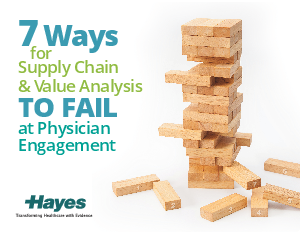 White Paper Published By: Hayes, Inc.
Failure is not an option when it comes to physician engagement. Yet many supply chain and value analysis professionals say they’re doing just that. Prepare to succeed at physician engagement…by learning how to fail!